Terry Dunn received his Bachelor of Science in Business Administration from Rockhurst College in 1971 and his MBA from the University of Missouri at Kansas City in 1973. Terry Dunn joined JE Dunn in 1974 as contracts officer and was made Vice President and Treasurer in 1978. He was promoted to Senior Vice President in 1979, Executive Vice President in 1980, President in 1986, and Chief Executive Officer from 1989 to 2013. During his leadership as President and CEO, he led a team that grew the business from an $80 million regional contractor to a $2.8 billion national contractor. He retired as the President and Chief Executive Officer of JE Dunn Construction Group, Inc., the holding company for JE Dunn Construction Company and other affiliates across the nation. He was active in all facets of the business with extensive experience in construction operations and remains a Director of JE Dunn Construction Group, Inc.
Mr. Dunn is very active in civic and community volunteer work. Upon retirement, he formed DD Ranch Leawood for senior executives who have retired from major companies and are staying actively engaged as investors, directors and entrepreneurs in corporate, civic and charitable initiatives. Terry currently serves on many Boards in the Kansas City area. He is married and has three sons and a daughter and attends Nativity Parish. Terry joined the National Board in 2018. Sean Miller is the Chairman and Chief Executive Officer of The Miller Group. Sean has been on the Miller Team since 1983, where he has built The Miller Group agency through personal service and attention to client needs. He started the nonprofit division over 25 years ago. Since 1983, Sean has become an area expert on insuring privately held businesses and nonprofits. His seminars have guided such organizations as The United Way, Boys and Girls Clubs of America, and the American Red Cross. In addition, he is a guest lecturer for the Masters of Public Administration program at the University of Missouri-Kansas City. In keeping with the Miller commitment to service, Sean sits on the boards of the Cornerstones of Care Foundation, Community Living Opportunities, Homes from the Heart, St. Paul’s Outreach and The Catholic Community Foundation, among others. Sean is a graduate of the Centurions leadership program, sponsored by the Greater Kansas City Chamber of Commerce, and Kansas City Tomorrow, sponsored by the Civic Council. He attended Rockhurst High School in Kansas City, MO and Regis University in Denver, CO.
Sean has been married to his wife, Karen, for 35 years and they have four children. This past year Sean and his family had an SPO Missionary live with them. Sean serves as chair of the KC Advisory Board for SPO. Bob Buehler is Chief Commercial Officer at RespirTech, a medical device company that specializes in helping people with chronic respiratory problems breath better. He has previously held senior executive positions at 3M Healthcare and Arizant Healthcare. As President of Arizant Healthcare’s international subsidiary, Bob and his family spent 7 years living and working in Europe. He began his career at Cargill. Bob received a Bachelor of Science from the Ohio State University and holds an MBA from the Carlson School of Management at the University of Minnesota. He is a past member of the Board of Trustees of the Washburn Center for Children and a current Board member at Providence Academy. He joined the SPO Board in November of 2016. Bob and Nancy, his wife, are members of Legatus. They have two children, both of whom graduated from Providence Academy and now attend college. The Buehlers are members of St. Bartholomew parish in Wayzata, MN. Jay Ward is a business executive and proud father of ten children. He attended the US Naval Academy and served in the US Navy as a nuclear officer. After attending MBA schools, Jay worked for manufacturing companies in the chemical, semi-conductor, and industrial markets. For a decade, Jay served as a Senior Vice-President at Donaldson Company Inc. in Belgium and Minneapolis. He currently is the CEO of Minnesota Rubber and Plastics. 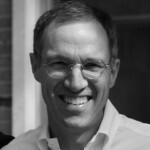 Jay has served on numerous for profit and non-profit boards including the United Fund of Belgium, the American Chamber of Commerce Belgium and is currently the Chairman of the Board for Chesterton Academy, a joyfully Catholic classical high school. With two daughters attending college that hosts an SPO community and three more children targeting college, Jay is excited to bring his business acumen and love of the Holy Spirit to Saint Paul's Outreach. David A. Wischmeier attended the College of St. Scholastica where he received a Bachelor of Science degree in Finance and Computer Information Systems in 1990. He received his Juris Doctor degree from William Mitchell College of Law in 1997, and holds the designation of Chartered Life Underwriter from the American College. His experience includes 20 years of advanced life insurance planning as an estate planning attorney, insurance company product analyst, and financial planner. Attentive, inquisitive and one of the nation’s leading authorities on insurance legislation and estate and tax planning, David is highly regarded for his mastery of estate planning and his thoughtful approach to client advocacy. His legal experience includes serving as an estate and benefits attorney with the law firm of Parsinen, Bowman, and Levy prior to joining NBW Insurance Group as Advanced Planning Counsel where he was named partner in 2007. As one of the founding team members of Story Capital, David has played a vital role in establishing the firm’s fresh, authentic, big-picture commitment to humbly and passionately serving clients. Kathy is a Senior Vice President for The Huntington National Bank, where she currently acts as Regional Manager for the Private Client Group of Naples, Florida. A native of Columbus, Ohio, Kathy brings a wealth of banking expertise to the SPO Board including management, economic development, wealth banking and investments, and lending. Her community involvement and leadership is also extensive, spanning: Westerville Chamber of Commerce, The Junior League, St. Vincent Family Center, St. Stephen’s Community House, The Brian Muha Memorial Foundation/Run the Race Club, St. Paul Catholic Church Parish Council, The Catholic Foundation of Columbus, the Diocese of Columbus Finance Board, Legatus (Columbus and Naples), and The League Club of Naples. Kathy and her husband, John, have been blessed with two children, Jaime and Jason, a son-in-law, Andy, and five grandchildren. They are members of St. Paul Catholic Church in Westerville, Ohio. Renee Allerheiligen is a professional leadership and organization character development consultant, facilitator, and speaker. She is the President of Avila Leadership dedicated to developing organizational cultures of leadership, character, and performance. She also serves Carew International and the Spitzer Center for Ethical Leadership and their clients as a facilitator and consultant. Renee began a marketing career with Koch Industries, followed by American Greetings Corporation. She transitioned into the training, management, and human development field in 1998 with Schering-Plough Corporation, which evolved solely into organizational and personal professional development as a private consultant to Schering-Plough. She has remained committed to the integral development of others with a wide-range of organizations ever since. In addition to work in the corporate arena, Renee has served various parishes, diocese, and Catholic institutions in the areas of stewardship formation, stewardship spirituality, strategic pastoral planning, and leadership development. Renee received a Masters in Organizational Leadership from Gonzaga University with a certification in Servant Leadership, a Masters in Theological Studies from Newman University, and a Bachelor of Science in Business Marketing from Emporia State University. She lives in Minneapolis with her husband, Jarod, and their three children who attend Catholic schools. 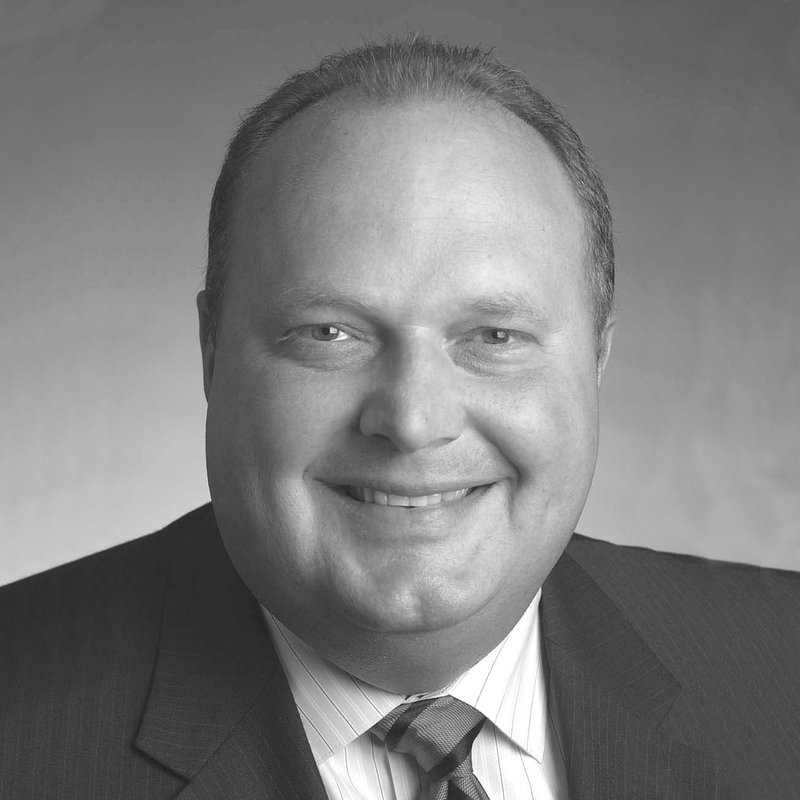 Joe Lahti is a Minneapolis native and leader in numerous Minnesota business and community organizations. 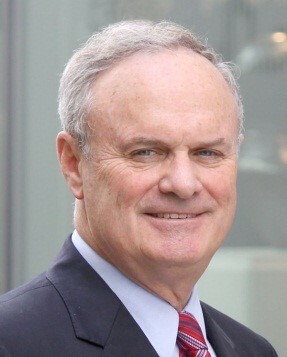 After graduating from Harvard University in 1982 with a bachelor’s degree in economics, he completed a 12-month commercial lending training program at First Bank Minneapolis before working with Syncronamics, Inc., where he specialized in scheduling and staffing-level consulting at Hughes Aircraft and Pac Tel. He joined CIGNA Financial Services as a financial counselor in 1985 and left to become president of McQuillan Lahti and Associates in 1989. At both firms he advised business owners in the areas of tax, investment, insurance and succession planning strategies. As principal of JL Holdings since 1989, Joe has provided funding and management leadership to several early-stage or distressed companies. From 1993 to 2002, Joe held the positions of chief operating officer, president, chief executive officer and chairman at Shuffle Master, Inc., a company that provides innovative products to the gaming industry. Under his leadership, Shuffle Master was consistently ranked as one of the country’s top small publicly owned companies by Forbes and Fortune magazines. Joe has been married for 30 years and has five children and four grandchildren. He has served on several non-profit boards with a particular affinity for Catholic education. Bishop Andrew Cozzens received his Doctorate in Sacred Theology from the Pontifical University of St. Thomas in Rome, Italy. When he was studying for his BA at Benedictine College, he became involved with Saint Paul’s Outreach. He lived in summer household with SPO from 1989-91 and served on SPO campus evangelization staff for the 1992-93 school year. Ordained to the priesthood in 1997 for the Archdiocese, Bishop Cozzens is also a founding member of the Companions of Christ and lives with the community in St. Paul. He was ordained to the episcopacy in December of 2013. Jessica Nelson is an alumna of SPO at the University of St. Thomas, where she completed her Bachelor of Arts degree. She went on to earn a Juris Doctorate from the University of St. Thomas School of Law and is now a partner with Spencer Fane in Minneapolis, MN. In addition to her work as an attorney, Mrs. Nelson has also served with NET Ministries and Total LifeCare Centers. She currently works as a volunteer attorney with the Chrysalis Safety Project. Mrs. Nelson and her husband Jesse live in West St. Paul with their four children. They are members of the Church of St. Joseph. Mrs. Nelson serves on the Board Affairs Committee and the Executive Committee. Jim McQuillan is the President of RJF Financial Services. He graduated with Honors from St. John's University in 1982 with a Bachelor of Science Degree and entered the financial services business in 1984. In 1989 he co-founded McQuillan Lahti Associates with Joseph Lahti, working as independent financial services advisors to businesses and individuals. In 1998, Jim also assumed responsibilities as president of RJF Financial Services. Jim is a Chartered Financial Consultant (ChFC), an Accredited Investment Fiduciary (AIF), and a Series 7 Registered Investment Advisor. He is an active member of Nativity of Our Lord Church where he has served as the coordinator of Adoration. He and his wife, Jennie, have raised five children who all attended Nativity, Cretin-Derham Hall, St. Thomas, and/or St. John's. Mr McQuillan chairs the Development Committee. Michael McGovern, a graduate of St. Thomas College (now the University of St. Thomas), is the retired President and Chair of the Board of Catholic United Financial, a fraternal life insurance company based in St. Paul Minnesota. He has served as a member of the board of The St. Paul Seminary and School of Divinity, has served as a board member of Catholic Rural Life, and is still active in the insurance and banking world. Mike and his wife, Ann, have five children and 11 grandchildren. Mark Berchem is the Founder & President of NET Ministries. He holds a Master of Social Work from the University of Minnesota in addition to a Master of Theological Studies from the University of Dallas. In addition to his work with NET Ministries, Mr. Berchem has served on the Boards of St. Michael Grade School, St. John Vianney Seminary, Hill-Murray Foundation Board, and is a leader in the Community of Christ the Redeemer. Mr. Berchem and his wife, Mary, live in West St. Paul and have four children and one grandson. The Berchems are parishioners at St. Joseph in West St. Paul. Mr. Berchem is a founding member of the Board of Directors. 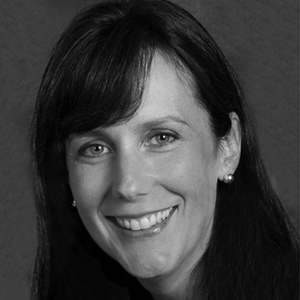 Laura Hemler is an alumna of the University of Notre Dame (B.A.) and the University of Chicago (Booth M.B.A.). She has served with The Saint Paul Seminary and Providence Academy and has been an active volunteer in many political campaigns over the years. Ms. Hemler and her husband, David, have three children and attend Our Lady of Grace parish in Edina, MN. She serves on the Board Development Committee. 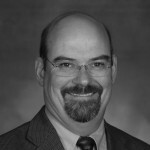 John Miller joined Lenox Advisors in 2009 with over 20 years of financial services experience. He entered the financial services industry in 1990 as a sales associate at Meeker Sharkey Financial Group. In 2001, he became a founding partner at Miller O’Brien Financial Associates where he concentrated on retirement and estate planning for executives. In 2006, he began a joint venture affiliation with Lenox Advisors, consulting on executive benefits. John's professional designations include the Certified Financial Planner. He is a member of the N.J. chapter of Financial Planning Association. John is a graduate of Drew University and is involved with several charitable organizations in New Jersey.